“I don’t give two hoots what anyone says.” Field Marshall Bernard ‘Monty’ Montgomery. Sporting hats and national symbolism: The Kangol beret and the London Olympic Games of 1948. In the stifling summer heat of 1948, the crowds watching the opening ceremony for the London Games at Wembley erupted in jubilation at the sight of the British team, who marched into the stadium adorned by the humble beret. 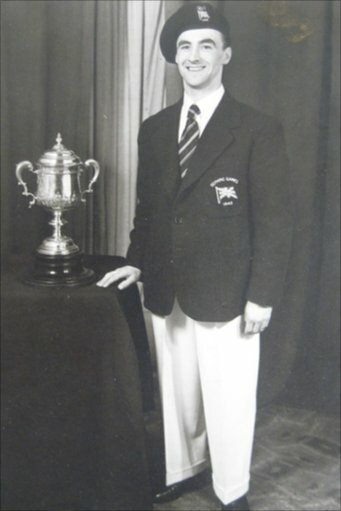 Biddle-Perry’s article explores the British Olympic Association’s (BOA) adoption of the Kangol beret for both male and female athletes at the London Games of 1948 and the great significance of this small item of clothing. Britain emerged from five long years of WWII tired, damaged and broke. The war had cost one quarter of the nations wealth and the country stood on the verge of bankruptcy. The British public was subject to bread rationing for the first time in its history and those who came back from the war found it difficult to hold down a job let alone to find employment in the first place. Just as things seemed at an all time low, even nature would test the British Isles, as the winter of 1946-47 reached record low temperatures, leaving most the country without electricity right up until Easter time, and the flooding that followed again entered the record books, being the worst for 300 hundred years. This really was a time of austerity. 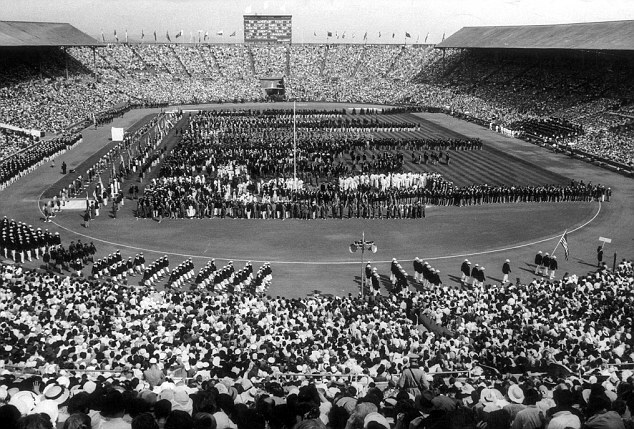 The Olympics has been dormant since the Berlin Games of 1936. It was decided that after an interval of ten years and three years after the war, the Games would finally return. Numerous nations and cities were considered for the role of the host; cities in North America had avoided damage from the war unlike the majority of the main European cities. However, after much deliberation, the Olympic President Sigfrid Edstrom saw London’s shabby, worn out and bomb damaged appearance as a symbol of the revival of the games and he acknowledged that the city represented the resistance of Hitler’s bombings and the Fuhrer’s ideology. Once the decision was made, Britain began the hurried operation to prepare London to stage the world’s largest sporting event. The nation embarked on rebuilding facilities that called upon ‘ingenuity and resourcefulness’ (Biddle-Perry 2014) rather than the injection of funding, of which there wasn’t really much to go around. In all the preparations that took much planning and scrutinising, the uniform for the British athletes seemed to have been a last minute consideration. Having taken the plunge on the blazers and bleached-white trousers the BOA made a bold decision on the headwear. The beret’s popularity had been steadily growing in Europe during the 1930’s and the company Kangol had jumped on the beret-bandwagon and soon became the manufacturer and supplier of the hats. They were lightweight, affordable, mailable and could be mass-produced in enormous quantities to meet the increasing demand. In Britain, the Royal Tank Regiment back in 1924 adopted the beret as part of the service dress – the practicalities of a lightweight and compact hat were necessary for the condensed environments inside a tank. From that regiment, one individual in particular took to the beret and in time this iconic figure would rarely be seen without one. Monty adopted the beret when the Australian bush hat he had taken to wearing kept flying off when he was riding in a tank during the Battle of El Alamein. After stop­ping four times to pick it up, the tank driver suggested that they would get to where they were going a lot quicker if Monty would borrow his beret, which the Field Marshal promptly did (Biddle-Perry 2014). Many of his peers disliked him for his ‘quirky manner and disregard for protocol’ (Biddle-Perry 2014). Yet the British public and especially the troops took to this colourful character whose dogged determination rallied the country. As a high-ranking officer the beret was seen as beneath a generals dignity and he was officially asked twice to remove the hat. He responded, “I don’t give two hoots what anyone says”. His attitude, which can be encased in his choice of headwear, reflected not only his character but also that of the British nation as a whole – defiant, resistant and pragmatic from the winning of new freedoms, these characteristics came to define the nation – one that was looking to put the repressive years of the war behind them. The wearing of a particular type of hat cannot be confused with actual political activism or social change. Clothing and adornment is however an embodied social process that shapes individual and collective meaning. Clothing, including hats, need to be seen as a significant element in the fusion of the material and symbolic that is fundamental to processes of cultural produc­tion through which subjectivities are created and the idea of political change enacted. Tags: beret, fashion, London, Olympic Games, symbolism. Bookmark the permalink.